Objective: The purpose of this project is to apply what you have learned this year about psychology to explore one of the most bizarre and intriguing phenomena in human behavior, the serial killer. 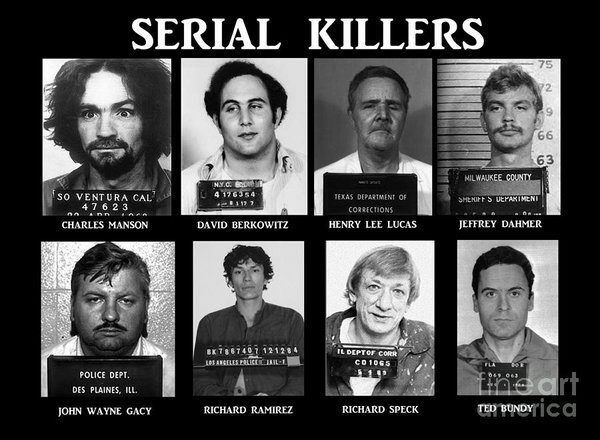 You will choose and research a serial killer from around the world and attempt to explain and analyze their behavior. Why does it seem like serial killers all wear the same glasses? This is our most advanced research database, which will yield an extensive list of resources from publications and universities all over the world. Surely you will find what you are looking for whether it be for Social Studies, ELA, Science, Math, Art, etc.